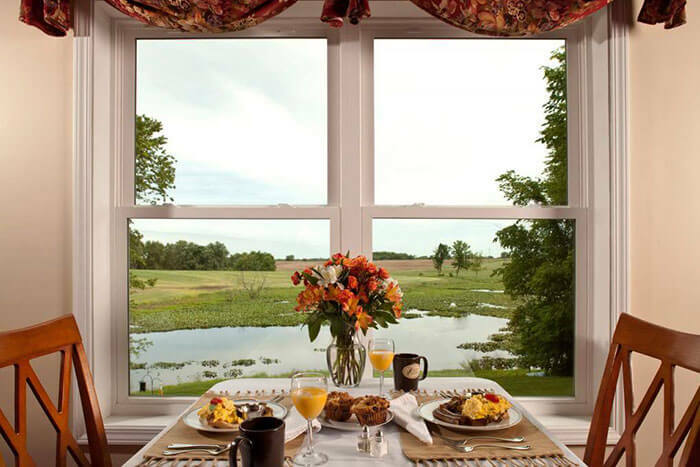 Let us spoil you at our award-winning luxury Michigan Bed and Breakfast. 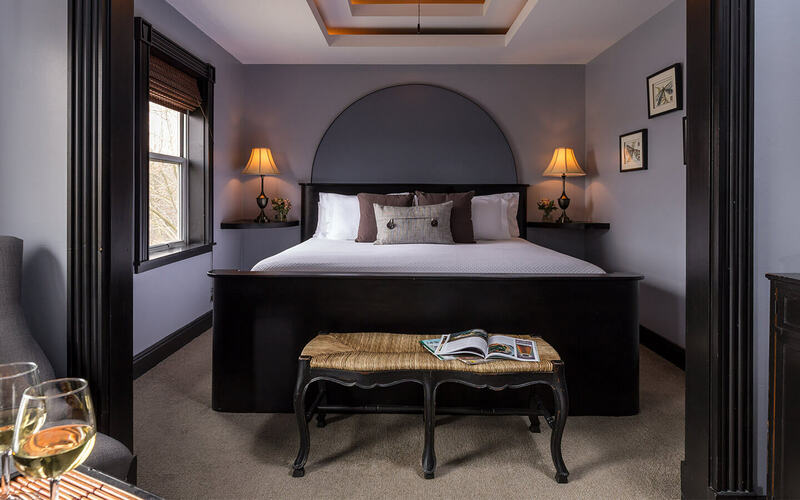 Choose your favorite from our 8 romantic suites with beautiful decor, cozy fireplaces, Whirlpool tubs for two and King size beds. Enjoy free WiFi, flatscreen TVs/DVD and quality linens meet all the requirements for making your escape just perfect for the two of you. You’ll know within minutes of arriving that this is your special place offering the perfect weekend getaway from Chicago. Your midweek or weekend getaway from the city of Chicago will include a Gourmet Breakfast for two overlooking our natural pond and can be followed by an on site Spa session with side by side couples massage, picnic basket lunch in your guest room by the fireplace and a fun and invigorating snow shoe trek through our trails. Then, our customized adventure map will give you insider tips to the surrounding countryside for local Winery & Distillery tours, Michigan’s finest Craft Beer Brew Pubs or to a romantic dinner for two in one of the top rated local and organic Farm to Table restaurants in the nearby towns of Saugatuck/Douglas, Fennville, Holland, Plainwell or Kalamazoo. 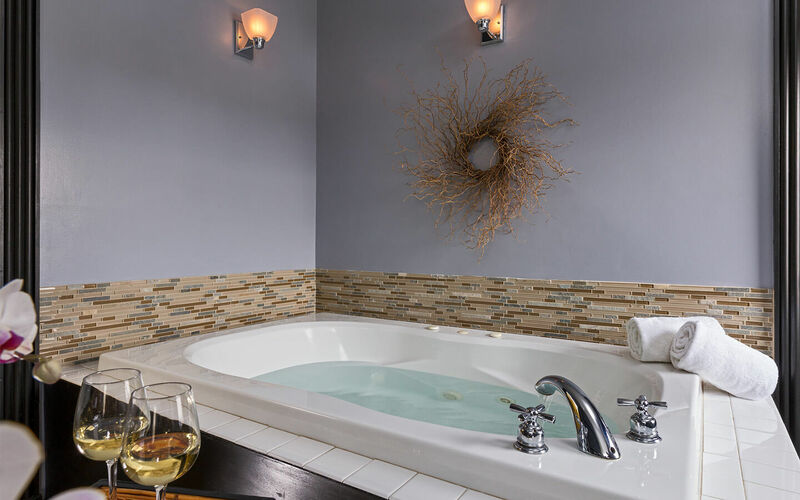 Choose from eight Luxurious Rooms with Whirlpool tub for two; Fireplace and king-sized bed including; King Arthur Suite, Sir Lancelot Suite and the Camelot Suite. All featuring flat screen cable TV/DVD; full gourmet breakfast daily; free WiFi; Complimentary use of kayaks, paddleboat and snowshoes on-site in the winter.